I just got back from an extremely informative meeting with one of the good guys at the Calgary International Airport, Duncan Paisley, Border Services Officer (BSO). Officer Paisley came to speak to our CBA Immigration section in Calgary on April 27, 2016 to share a few updates on the delivery of immigration services at Alberta’s busiest airport. Now, I definitely do not want to get Officer Paisley in trouble by giving you the impression that he pulled the curtain completely back and revealed all of the CBSA’s top secret practices and procedures. However, he was most gracious in sharing some pretty useful insight on what goes through a Border Services Officer’s mind when they are stuck with the unenviable task of adjudicating an immigration related entry at the airport. In fact, he shared some great tips on how to make the process go a whole lot smoother and minimize the chance of refusal. Now who wouldn’t want a little insider knowledge to help better prepare themselves for applying for a work permit or other immigration document at the airport? Let’s face it, the whole process can be pretty darn scary. Heck, I still get scared and I was one of those officers in a previous life. So check out below my Top 5 Takeaways from the presentation give by Officer Paisley at our immigration section meeting. 1. Don’t travel during the busiest times at the airport. The CBSA has undergone significant cutbacks over the past 10 years. 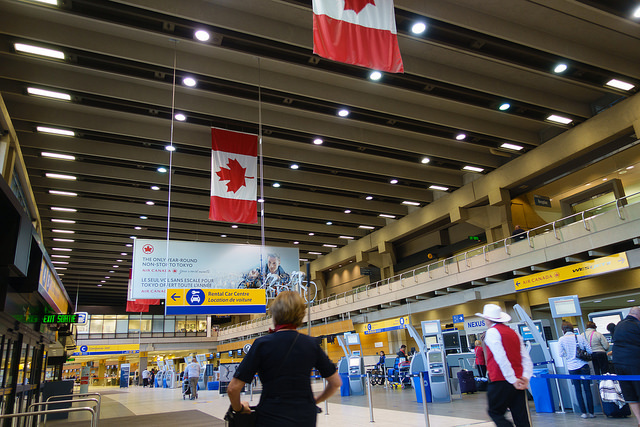 Although more and more people are travelling to Calgary to seek some form of immigration status, the number of BSOs has been reduced from 100 in 2007 to only 75 active officers now. What this means is that if you arrive at the airport during its busiest times, your wait is going to be significant. So when are the busiest times? …Sunday and Monday. Officer Paisley described these days as the “NAFTA rush” where the number of immigration related entries climbs to almost 100 – doubling what they experience on the other days of the week (50-60). Wait times can stretch to as long as 3 or more hours during peak times. He also indicated that their most quiet times during the day are in the morning and after 7:00pm MST. However, unlike the land crossings, its pretty hard for you to choose exactly when you want to arrive at the airport. The mornings and evenings are slower for the simple reason that not as many flights are scheduled to arrive during those times. Tip: If you need to apply for an immigration document at the airport in Calgary, avoid Sunday and Monday like the plague – and if you can arrive in the morning or after 7:00pm this would be even better. 2. Always bring a hard copy of your application materials. Although our smart phones and tablets are allowing many offices to go paperless, bringing an electronic copy of your work permit application will not be well received by the BSOs. Ensure you have a complete copy of all the material you will be relying upon. Officer Paisley confirmed that there is only one charging station in the Voluntary Compliance Office (VCO) ….this is the area behind the glass windows, and none if you are sent to the secondary examination area. As such, if you plan on showing the BSO a screen shot of your online bank statement, or the global subsidiary list on your company’s website, it is entirely possible your phone battery may die before you even get to see an officer. Tip: Always bring a complete paper copy of your application materials versus an electronic copy on your smart phone or tablet. 3. 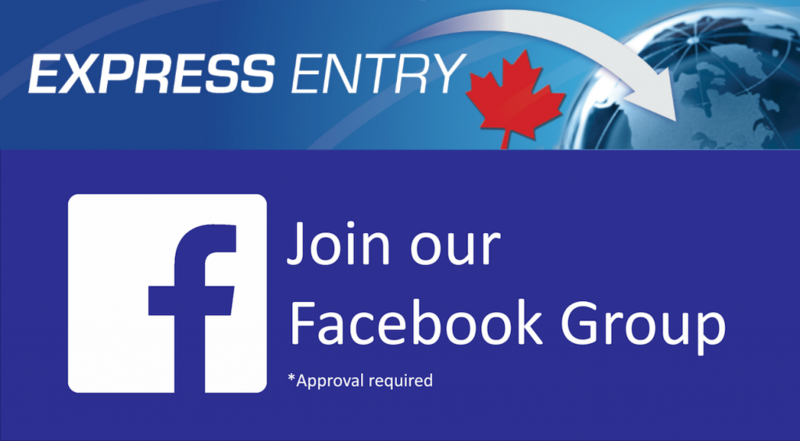 The Canadian company must be the employer of record on the Job Offer registration for work permits under the International Mobility Program (IMP). 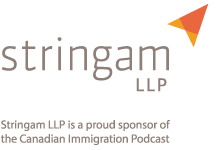 For foreign service providers (FSPs) doing business in Canada and other individuals applying for work permits under the IMP, the process has become a lot more complicated. Although Canadian companies do not directly employ the “employees” of the FSPs, the BSOs have been instructed to make sure that it is the Canadian companies that are signing off as employer’s of record on the Job Offer registered through the employer portal. This is definitely going to cause some grief to Canadian companies that really have no employment relationship with the individual consultants or technicians seeking to enter Canada to provide the contracted for services. It may still be technically possible for the FSPs to complete the online Employer Portal registration and complete the Offer of Employment registration online. However, if travelling to Calgary, there is a distinct chance the BSO may reject the Job Offer if the Canadian company receiving the services is not listed as the employer of record on the Job Offer. Tip: Foreign Service Providers must ensure the Job Offer registration lists the Canadian company as the employer of record when their employees apply for work permits. 4. Be prepared for the day Electronic Travel Authorizations become mandatory. Officer Paisley expressed a great deal of frustration with the whole eTA process. Although eTAs are not yet mandatory, the leniency period is very quickly coming to a close. If you are coming from a visa exempt country and you are not a US citizen or permanent resident of Canada, you will eventually need an eTA to board a plane to travel to Canada. The eTA registration portal is extremely glitchy. Officer Paisley has seen many people travelling to Canada without properly completing the eTA with accurate information. The online portal does not assess the answer provided with any degree of scrutiny. As such, if people answer the questions incompletely or in a misleading way, it can affect the validity of the authorization. Beware that the portal may indicate that an eTA is not needed when in fact it is. Alternatively, there have been some issues with eTAs being cancelled after a work permit has been issued (this is a known glitch with no current work around). Finally, if you lived in the US and obtained a passport from your country’s Embassy located in the US, you could run into problems. If, while completing the eTA application process, you respond that your passport was issued in the US, the portal will often mistakenly assume you are a US citizen and confirm that an eTA is not needed when, in fact, it actually is. The list of problems with the eTA system is too lengthy to identify here. Once again we are being left to beta test IRCCs online filing system (nightmares of the Express Entry portal are flowing back to me) when they should have done this themselves long before it was released to the public. Tip: Always bring a paper copy of your eTA application to the airport just in case you need proof that you actually filed it. 5. Always check your immigration document to ensure it is correct before you leave the CBSA office. Officer Paisley confirmed that the are fewer and fewer legacy immigration officers still working at the airport. What this means is that more inexperienced officers are the ones adjudicating immigration applications. In many cases, they do a fine job and there are no issues. However, typographical errors on the work permits are becoming increasingly common. As such, it is critical that you always check your work permit before you leave the CBSA office to ensure that there are no spelling mistakes on your name, the name of your company, work location, or even the title of your position. It is far easier to correct a mistake on an immigration document immediately after it has been issued than trying to come back to the airport at a later date to have the error amended. 6. Make sure you have the proper size photo when completing the landing procedure for permanent residence. Recently Immigration, Refugees, and Citizenship Canada (IRCC) changed the size of photos they are requiring applicants to provide for immigration applications. As such, if it has been some time since your PR application was approved and you are just getting ready to finalize landing procedures, it is possible that you may have taken the wrong size photos needed for your PR Card. You can access the photo specifications for the larger size photos here. Tip: IRCC no longer accepts the smaller size immigration photos. Make sure you bring with you the larger size when completing landing procedures at the airport. It was really great to have Officer Duncan Paisley take the time to share a little insight on the delivery of immigration services at the Calgary International Airport. Maybe in the future he will agree to come on our Podcast and answer listener questions. If you could ask Officer Paisley one question, what would it be? Send your questions my way. I will try to collect these questions and see if we can get Officer Paisley to answer them for us in one of my future Episodes of the Canadian Immigration Podcast. I answer questions periodically on my podcast. If you have a question, comment, thought or concern, you can do so by clicking here. We’d love to hear from you. However, please remember that if your question is not general in nature, I will not be able to respond. You would need to book a paid consult through my law firm: www.ht-llp.com.